And just because it is called coffee cake does not mean coffee is in the recipe. 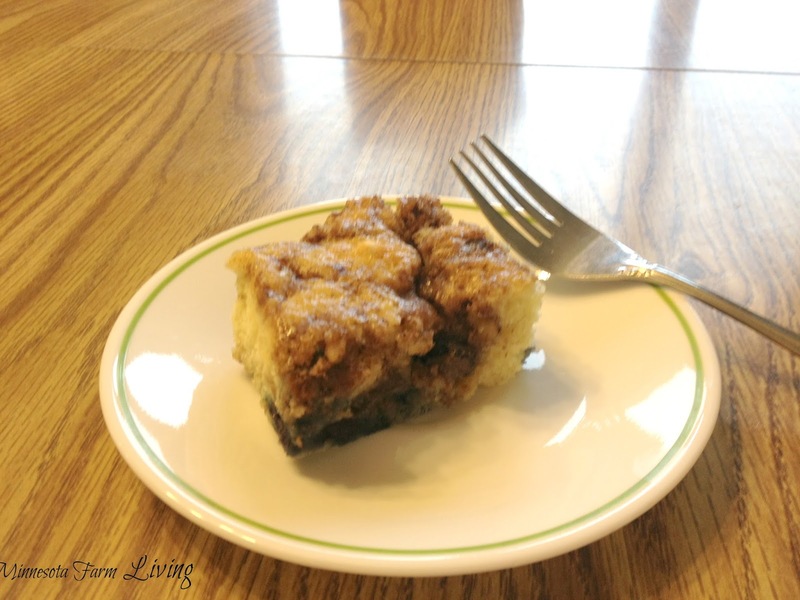 It is called coffee cake because it pairs very nicely with a cup of coffee. I love to double the recipe and put one of the coffee cakes in the freezer to be served at a later time. Frozen blueberries work but fresh in-season blueberries is the best. Hope you enjoy! The next step is to cut in the butter or margarine. 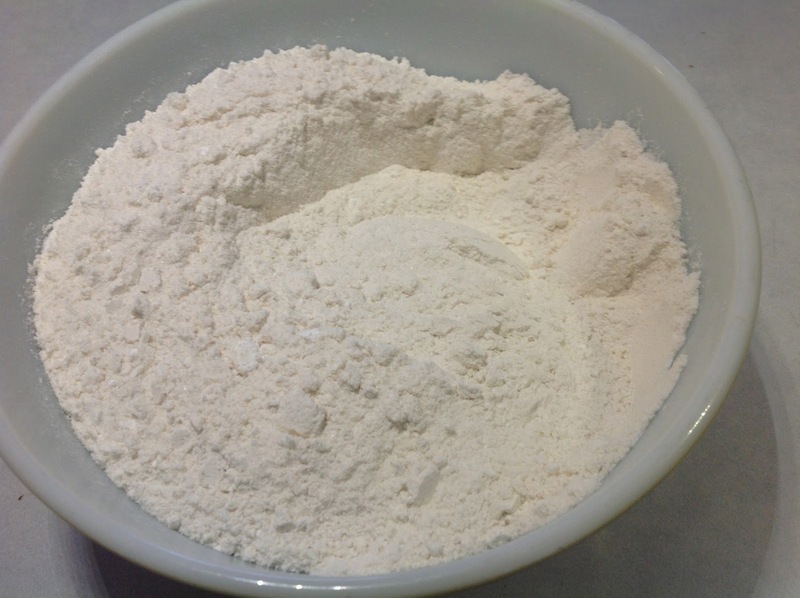 Use a cutting type action until mixture is crumbly. 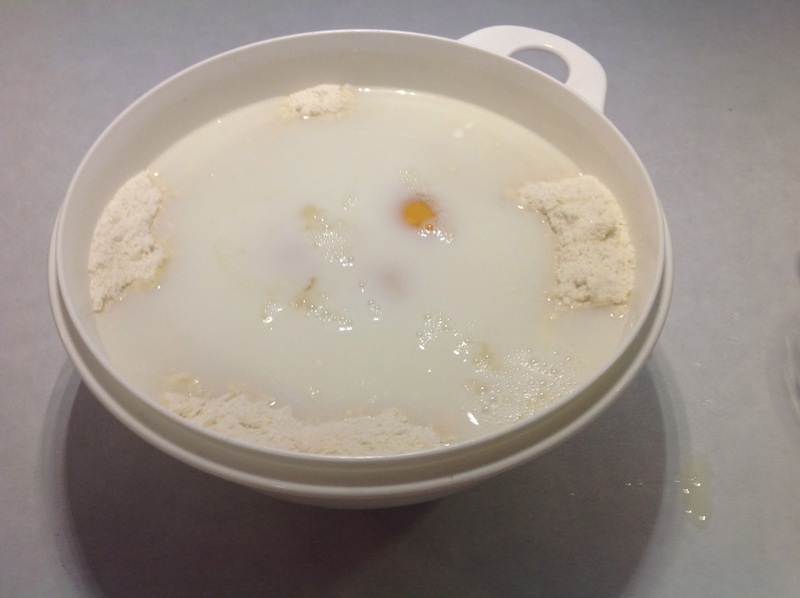 Make a well in mixture and pour milk, eggs and vanilla. Stir just until moistened. Add in blueberries and then pour mixture into a 13 x 9 pan. The pictures show a double batch. 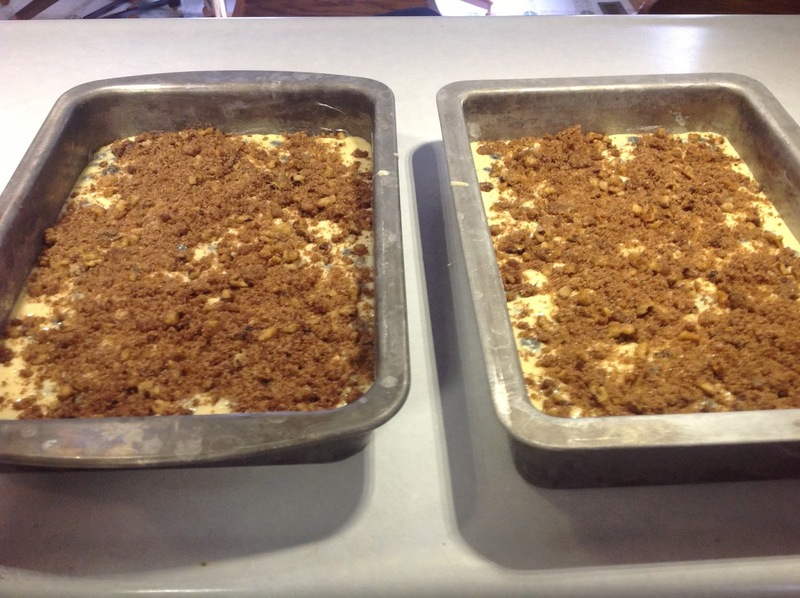 Mix together topping of brown sugar, melted butter, sugar, nuts and cinnamon and spread on top. Bake at 350 degrees for 35 minutes. Enjoy! Make well in center and add milk, eggs and vanilla. Stir just until moistened. Add blueberries. 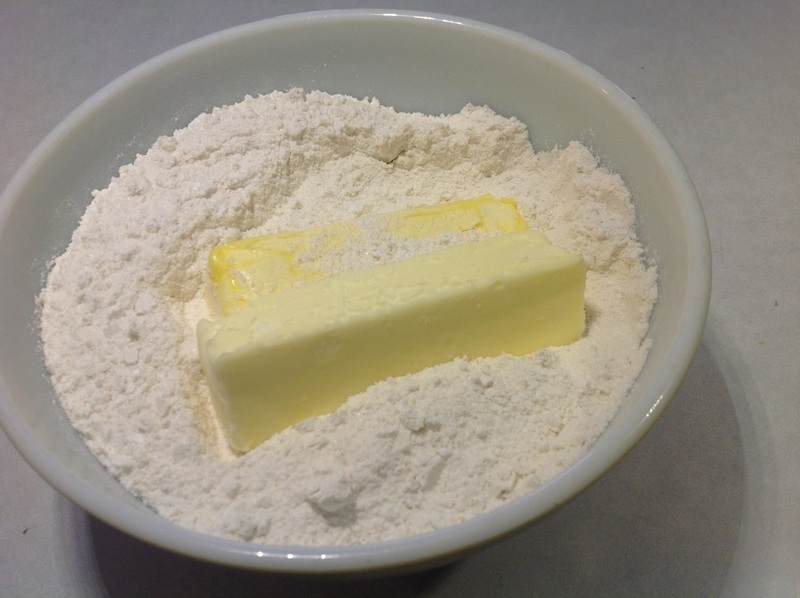 Spread batter in pans. That looks and sounds delicious! I have found living in southern California that not all blueberries are created equal. The ones we used to get in Michigan were the twice the size as the ones we get here and had much better flavor. Just stopping by from the GRAND Social Linky Party. Hope you get a chance to do the same!